Alsace, the ideal holiday region, whatever your desires, there are thousand of ways to discover it. From the top of the ballons des Vosges to the valleys of the Sundgau, via the enchanting forests and multitude of lakes, a stay in Alsace will give you the opportunity to immerse yourself in a breathtaking nature. Activity and outdoor recreation enthusiasts will find something to suit them in the area, with endless opportunities for hiking, bike riding and horseback riding. Those in search of a thrill will not be disappointed : Alsace is home to many adventure and climbing parks, as well as air and whitewater sports, which are commonly practiced in the region. In winter, it's time for skiing, cross-country skiing and snowshoe excursions. Feel like relaxing ? There are numerous thermal water spas in Alsace, allowing you to abandon yourself to the pleasures of balneotherapy. 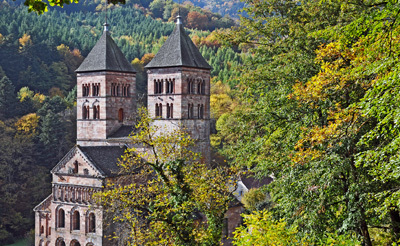 A holiday in Alsace is also the opportunity to discover a region steeped in a rich and sometimes tortured past, together with unique traditions. From the North to the South of Alsace, you will find a multitude of castles and villages dating back to the middle ages, as well as many relics and memorials testifying to the wars that have unfortunately marked the land. During your stay in Alsace, don't forget to visit the towns and villages with timber-framed houses, flowering geraniums and charming cobbled streets. If you have the opportunity, take part in one of the many festivals and events that take place throughout the year. The most magical moment to visit Alsace is must be during the Christmas period. The region is then adorned with a myriad of magical decorations and quaint Christmas markets, that will delight the young and old. Above all, do not leave the region without trying its delicious cuisine and exquisite wines. A weekend in Alsace can be a good opportunity to introduce you to a long winemaking tradition. 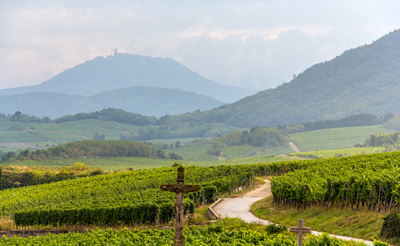 Visit the Wine Trail that runs through the sublime Alsatian vineyards and walk from one winery to another, tasting exceptional wines. If sauerkraut and baeckeoffe are essential dishes in Alsace, the region hides many other culinary gems. Kougelhopf, Münster, fried carp, flammekueche, plum pie... 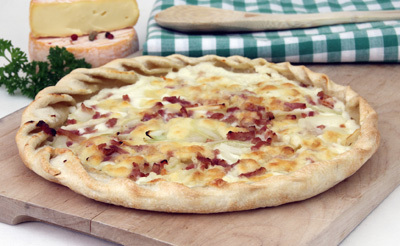 The Haut-Rhin and Bas-Rhin each have their gastronomic specialities. The best way to discover them is to try them in a traditional Alsatian Winstub, accompanied by a pint of craft beer.